Spring is officially here!! Weather should be clearing soon for some of you so hopefully you will join in. Make sure and post you odometer picture anytime after February 1st. Are there any changes needed to challenge? Anyone can participate, are you up for the challenge. Last edited by lesblank; 04-08-2019 at 05:35 PM. Yes, bike is dirty, ride or wash? I'll choose ride every time. nurtaeff and JonMaz2112 like this. That's my mileage as of today. 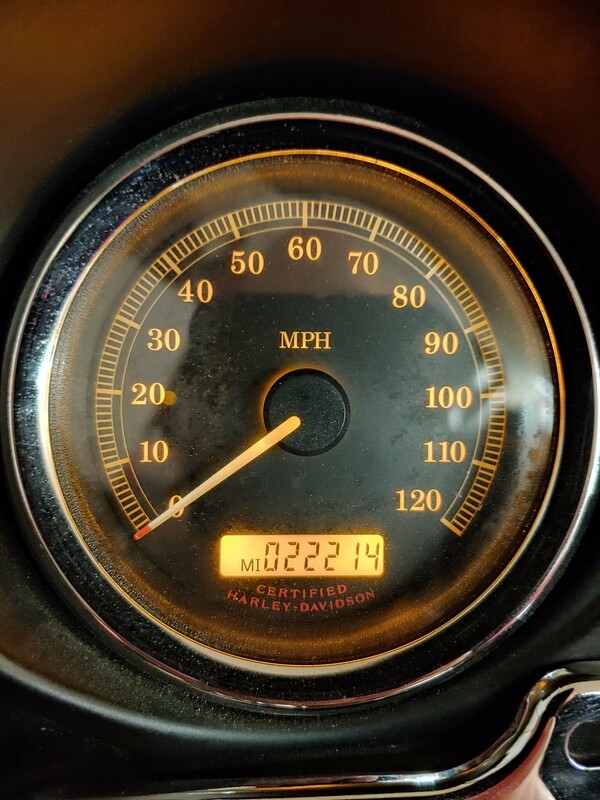 The beginning mileage was the same as the end of Feb. Sorry, Les, I didn't update at the beginning of the month. 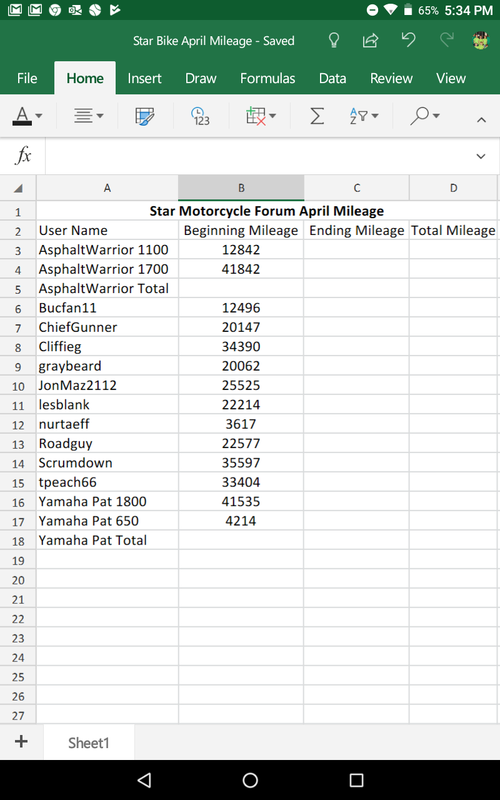 But you can use this mileage from today for April challenge, I'm not going to ride today, too much stuff to do. The challenge details link is down. "I just wanna ride my guitar and play my bike!" Not all who wonder are lost. My start for April 2019 is 35597. I'd like to break a 1,000 in April. Same as end of March totals. Just updated spreadsheet with summited mileage. Please check your mileage, I fat finger the keyboard at times and want to make sure it's right. Any new entries? I'm just hoping for nice weather this month.